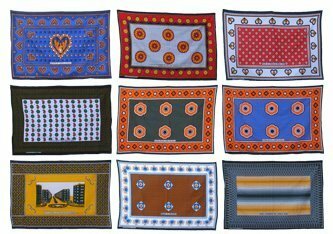 For as long as I can remember, I have always been a great lover of kanga, the East African cotton fabric with bold designs, bright colors, and a Swahili saying, aphorism, or slogan printed along its bottom border. If you’ve ever seen children wearing kanga wrapped around their bodies and tied behind their necks, then you have a perfect picture of me as a child. 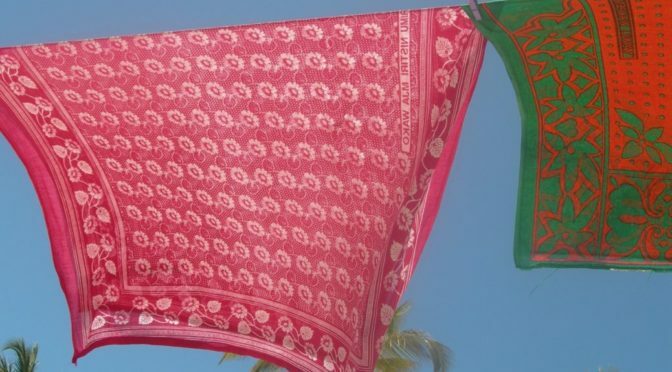 If you were to drop by my house unannounced today and I didn’t have a chance to run and change into something “decent", then chances are you would find me in a kanga, though this time worn in the kifua style (wrapped around my body, passing under my arms), rather than tied behind my neck. First of all, there’s nothing quite as comfortable as a soft, well-worn, 100%-cotton kanga. Also, the bright colors and ornate patterns of kanga somehow always manage to give me an instant mood lift. Recently, my love for kanga has taken on a new dimension. Beyond the reasons mentioned above, I’ve now also come to appreciate kangas for their jina (‘name’ in Swahili), which is what the writing on a kanga is called. Care to know how that happened? Ten years ago, I found that I greatly enjoyed wearing a green and white kanga that I had nipped from my mother ;-). This was unusual for two reasons: first, I don’t generally like green (especially on clothing) and second, the kanga‘s design was rather plain. My pleasure in wearing this kanga came from what was written on it, its jina, which read: Mlisema hayawi mbona yamekuwa? (Translation: You said it doesn’t/wouldn’t happen, so how come it’s happened?). Although this didn’t point directly to something that had already taken place in my life; at the time, I was living an unconventional life, working towards seemingly impossible goals. I hoped, of course, that I would one day achieve these goals and then be able to ask this question of all the naysayers I’d met along the way. The kanga’s jina was feisty…and I LOVED it! 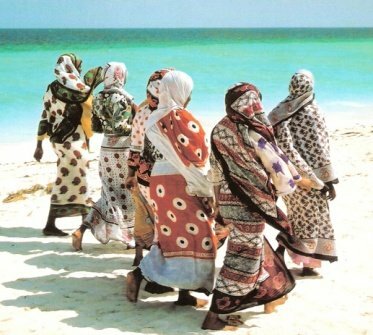 From then on, kanga for me ceased to be just about aesthetics and became, too, a form of expression and communication like they have been for countless Swahili-speaking women since the early twentieth century. A short while ago, I found myself on Uhuru Street, which arguably has the widest selection of kanga in Dar es Salaam. Although I wasn’t really kanga shopping; for the pleasure of my spirit, I decided to look around and see what was new in the world of kangas. After discovering some shocking jinas the last time I was kanga shopping; this time, this is what I decided to focus my attention on. The first thing I noticed was an unusual number of kangas with Islamic jinas, such as Mungu tuzidishie imani tufunge mwezi wa Ramadhani (translation: God, increase our faith so that we fast during the month of Ramadan). This got me curious about what my own current collection of kangas had to offer in terms of sayings. Tell me, do you have a favorite kanga saying? If so, what is it, what does it mean, and why do you like it so much? If you are an avid kanga wearer but never pay much attention to the words written on them, how about checking now (and sharing) what’s written on your favorite kanga? Does this saying in any way reflect something that’s going on in your life? 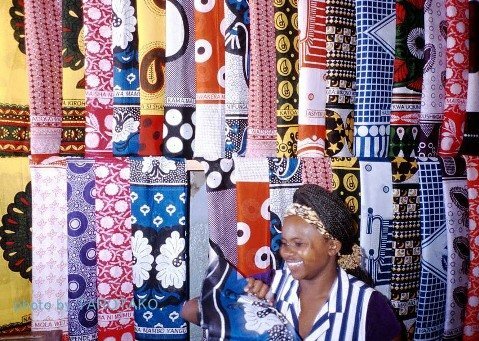 If you would like to know more about kanga, its history, or kanga sayings in general, then check out the following links: Kanga (African garment) and List of 254 Sayings on Khangas. I wish you a great weekend and, as always, look forward to hearing what you have to say. Previous PostHave your Say…Next PostLet’s Talk About Fashion in Tanzania! I have recently fallen in love with African prints and fabrics, and among these the kanga. I have to say that given my poor grasp of Swahili, I look mostly to the print. Further, as opposed to you, I have my tailor make me something, which means the words are usually hidden or that piece of fabric cut off; I guess I should start urging my tailor to let the words feature prominently from now on (and also make more effort to find out what the ‘jina’ is). Anyway, kangas are indeed beautiful, and I wish I could go kanga shopping myself but alas, I have to rely on assorted relatives from when they travel to Dar. I suppose there is a place in Kampala but I would imagine the variety is not as wide! Hey Biche, I beg you!!!! when u next see the one that says Calm your Spirit am yours… please get it for me so i can wear it special for Tata Boy (your BIL). Otherwise you know i have started collecting Kangas… they are just a delight and Comfortable!!!!! they have replaced Nightgowns (too much detail here?) wa they are too comfortable….I am yet to have my first outfit made out of them…. the one i ordered didn’t fit too well unfortunately so I have put it aside till i can come back to my tanzanian Designer..Actually come to think about it my love for kangas is strongly influenced by my cousin and her mother… thank you sooo much for introducing me to them. Japo watamba kwangu huna namba is one of my favorites.Love khangas and kikois they are too functional. It is said a proper woman doesn’t travel without one or the other. @Vive – Please let me not mislead you! As much as a kanga’s jina is interesting and can be significant, I recommend that you continue cutting it out when having an outfit made because it greatly limits what you can do with your kanga if you try to keep its jina right side up (so that it’s easily readable) and unobtrusively placed. What your tailor currently does is the right way to go! @Gish – Thanks for for sharing one of your favorite kanga sayings. Can you translate it please? I’m not sure what watamba means.  Otherwise, I totally agree with you that kanga and kikoi are so functional! It was pleasure to find your blog to know african culture. i found your blog while searching for some information of kanga. i like them and hopefully i could sell them in japan and do some activity to tell african culture. thank you for your information and i want cheer you up. Welcome to ChickAboutTown! Thank your for your message of encouragement. I am glad you enjoyed this post about kanga sayings. You mentioned that you like kanga? Where did you come across them? I love your blog and your forays into interesting places. Thanks for sharing your insights and finds. I just discover your blog and i LOVE it!!! I’m from Comoros Islands and the culture is really really closed to tanzanian culture!! I don’t suppose you could translate this? “kaseme wewe mimi vikao vimenishinda” i’ve not been able to find a translation and google translate is less than helpful! It means something like: “You go talk, as for me, I am tired of the meetings”. The context to me sounds like a couple/neighbors/friends/relatives who have been continuously quarreling and taking the dispute for resolution at some sort of council. The wearer of the kanga is saying, she’s tired of all the dispute-resolution meetings and the other party should go ahead without her. It’s a feisty but very amusing (to me) kanga saying. Anyone want to correct me on my translation? I have a kanga that says: “Radhi ya mama ni sitara ya mwana”. I cannot find a translation. Can you kindly tell me what it says? Welcome to ChickAboutTown! Sorry for taking so long to get back to you. The word sitara is stumping me a bit so I am asking around for you. Luckily, I live in Dar es Salaam so I should be able to get back to you soon. I’ll let you know as soon as I have a trustworthy translation.